English goldfinch, one of the large group around the house. 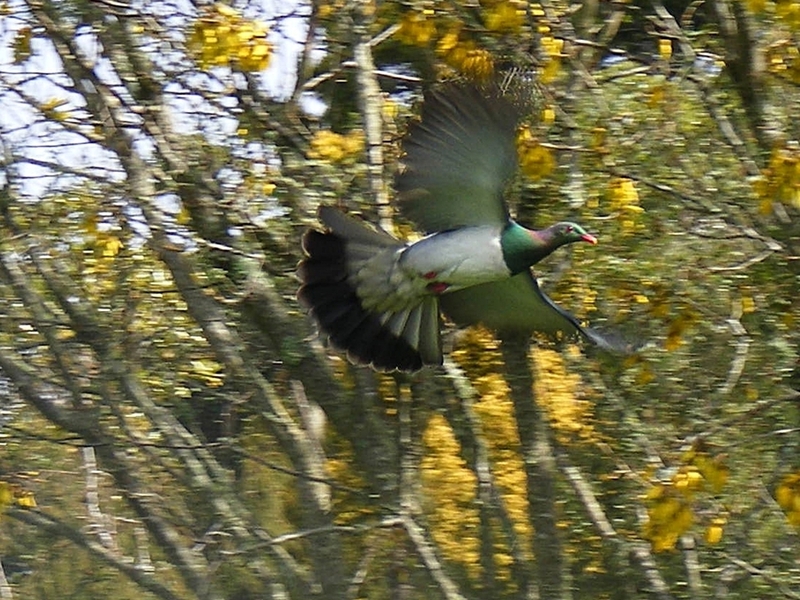 Hubby took this fantastic shot of a wood pigeon. I'm always trying to get a shot of the NZ hawks on our road trips. We have a kingfisher that hangs out on the wires at the house but there has only been one time when I've seen two together. This NZ hawk was interested in the water in the ditch beside the road. Wild yellowhammers--I prefer to call them spanaries (sparrow + canary). Great collection of bird photos! I like the action shots! All great captures, Betty! Love the one your hubby took and the one of the couple - stunning and unusual capture! Tahnk you for lovely pictures form the birds in your country! Beautiful birds! I love the Wood Pigeons against the blue sky. The wood pigeons are pretty little critters. Nice bird series from your neck of the woods. great set of photos. We get the goldfinches here too, though not often these days. I think the pigeaons are very handsome. you guys have the best birds ever you know! I am jealous. love the word apanaries -- and it seems totally right. Some familiar birds for me, and some less familiar but all such good shots. I particularly love the wood pigeons, in flight and on the tree. Such a delight to see birds from your area. They are beautiful. Such variety and so beautiful!